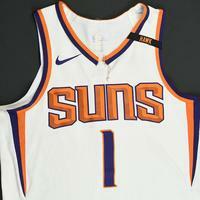 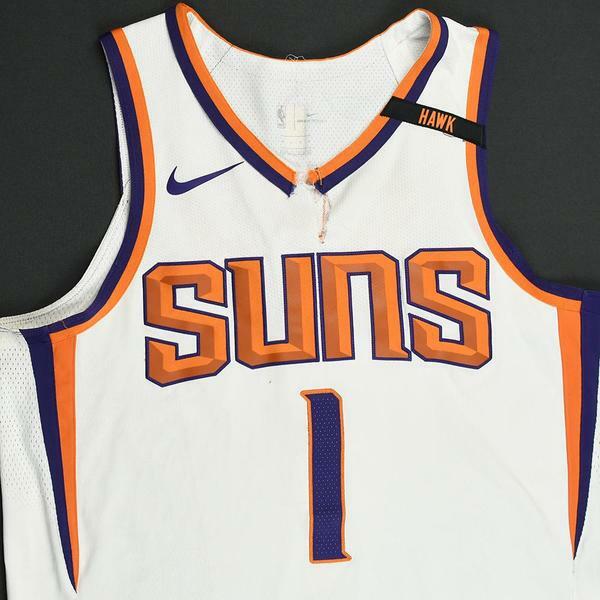 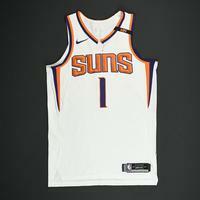 Booker wore this jersey during the Suns' 114-107 victory over the Oklahoma City Thunder on January 7, 2018 at Talking Stick Resort Arena in Phoenix, AZ, the Suns' 120-97 loss to the Indiana Pacers on January 14, 2018 at Talking Stick Resort Arena in Phoenix, AZ, the Suns' 102-88 victory over the Dallas Mavericks on January 31, 2018 at Talking Stick Resort Arena in Phoenix, AZ, the Suns 129-97 loss to the Utah Jazz on February 2, 2018 at Talking Stick Resort Arena in Phoenix, AZ and also the Suns' 115-110 loss to the Charlotte Hornets on February 4, 2018 at Talking Stick Resort Arena in Phoenix, AZ. 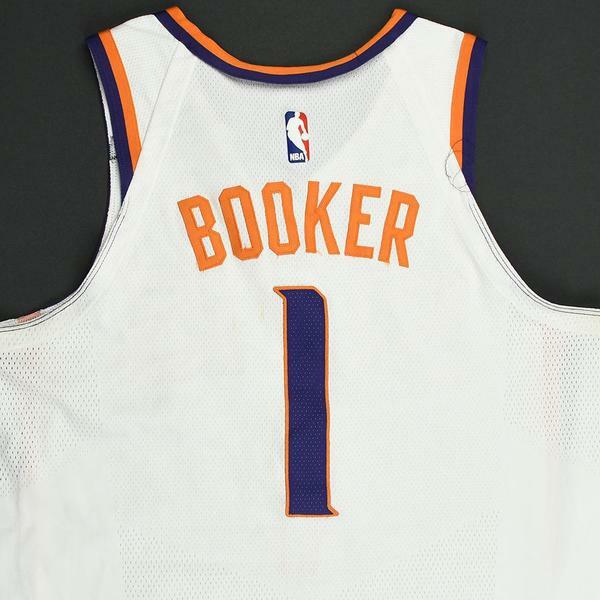 He played 31 minutes and registered 26 points with 4 assists and 2 rebounds on January 7. 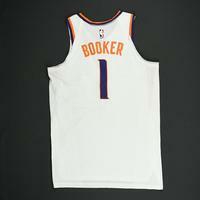 He played 33 minutes and registered 15 points with 7 assists and 5 rebounds on January 14. He played 32 minutes and registered 15 points with 4 assists, 2 rebounds and 2 steals on January 31. 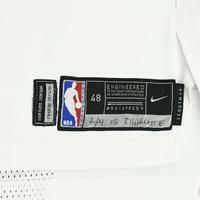 He played 32 minutes and registered 18 points with 6 assists, 4 rebounds and 1 blocked shot on February 2. 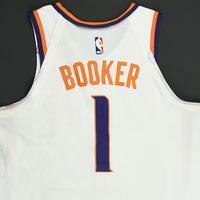 He played 31 minutes and registered 18 points with 9 assists and 5 rebounds on February 4. 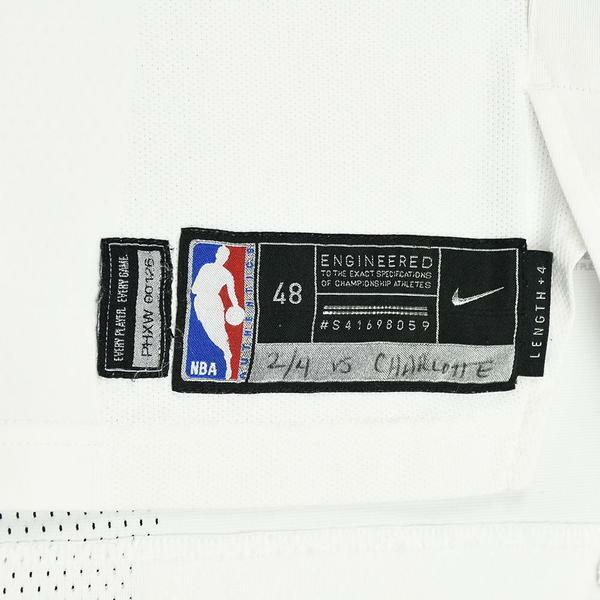 "2/4 vs CHARLOTTE" has been hand written on the jock tag.